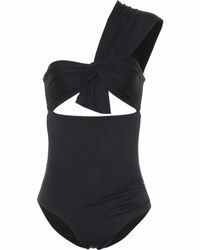 Boutique swimwear brand Marysia Swim offers covetable collections of minimalistic swimwear in flattering shapes and cool, modern designs. The brainchild of Polish-born FIDM graduate Maria Dobranska Reeves, this contemporary label offers ultra-luxe bikinis, swimsuits and cover-ups with clean lines, simple prints and clever detailing. 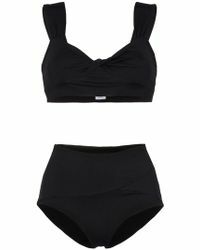 Inspired by Reeves’ time spent living in Los Angeles and her active sporting background combined with the nonchalant elegance of women in her New York home, Marysia Swim collections are fresh and unassuming – the perfect choice for effortless poolside chic. 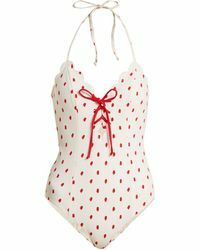 Browse and shop the full range of Women's Marysia Swim Clothing.